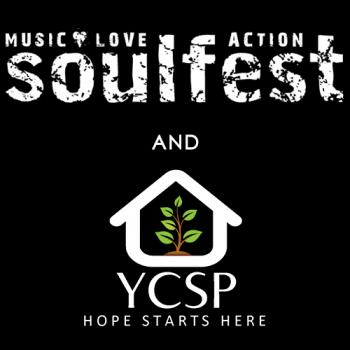 This year SoulFest is celebrating 20 years of great music and mission throughout the New England area. We want to invite you to help make our 20th year an unforgettable one. One way we want to do that is to team up with an organization that is doing life changing things in our region. When we first heard of York County Shelter we couldn’t wait to hear more of the awesome work they are doing and find a way to help out. And that is why we have created this campaign. A little about the Organization: York County Shelter is Located on historic Shaker Hill Road in Alfred, Maine, with programs throughout Southern Maine, YCSP was founded on the belief that everyone – regardless of income level, housing needs, mental or physical health issues, struggles with addiction, and other challenges associated with poverty and homelessness – deserves to be treated with respect and dignity. THE QUESTION IS ...WHAT CAN YOU DO TO HELP? Maybe not buying that new pair of shoes, that you don’t really need. And that is where together as the Body of Christ we can make a HUGE difference. YOUR $20.00 can buy 3 meals and bedding for a person suffering from addiction. YOUR $20.00 provides a weekly bus ticket, for a family living in the Shelter ,to get to appointments, as well as provide school supplies for children including a backpack. And when we all put our $20 together we can change the world. We can be part of something bigger than ourselves. So help us celebrate our 20th year of wonderful mountainside music. GiveSendGo matching donation. Shine Brightly! GiveSendGo matching donations!! Shine Brightly YCSP! Thanks for offering Canobie tickets! For YCSP to help the needy. God Bless! Thanks for the canobie ticket! Keep up the great work!